BlackBerry Ltd (NASDAQ:BBRY) was one of the early movers in the mobile phone market, but was hit hard by the other phone makers like Apple Inc. (NASDAQ:AAPL) and Samsung Electronics. In the last 5 years BlackBerry Ltd had lost more than 85% of its value. The company turned to John Chen, the current CEO of BlackBerry Ltd to effect a turn around. BlackBerry Ltd reported its quarter earnings earlier today, which surprised many investors. A ‘CNBC’ article discuss about the earnings report and its significance. The article stated Thomson Reuters consensus estimate for BlackBerry Ltd (NASDAQ:BBRY)’s earnings, which was a loss of 4 cents per share with $794 million revenues. But BlackBerry Ltd surprised everyone by reporting an earnings of 4 cents per share. 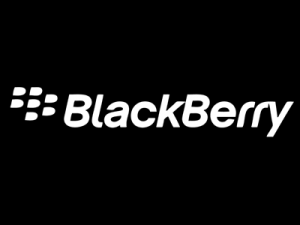 BlackBerry Ltd reported a loss of 8 cents per share in the same period last year. But BlackBerry Ltd (NASDAQ:BBRY) did miss the consensus estimate on the revenues as they reported a revenue of $660 million, against the estimate of $794 million. This revenue was also lower than $976 million reported a year ago. Following this report, which did not had any loss, BlackBerry Ltd (NASDAQ:BBRY)’s stock ramped up as it started trading on Friday. Meanwhile the Canadian Phone maker is trying to switch over to Enterprise software to make some profits. This was one grand plan from John Chen to bridge the revenue gap and effect a turnaround as he did in Sybase. But BlackBerry Ltd need to do this kind of an earnings beat consistently to effect a turnaround of fortunes. Apple Inc (AAPL) BlackBerry Ltd. (BBRY) Earnings report John Chen - BlackBerry Ltd NASDAQ:BBRY NASDAQ:RIMM Samsung Electronics Co. Ltd.